Deposit and Bet £5 to receive £20 in Free Football Bets! BetVictor is one of the largest betting firms in the UK, offering a vast range of sports betting markets and casino games. They offer the biggest returns of any other online bookmaker alongside a number or special features for punters, including a Quick Cash Out, Partial Cash Out, a Free Bet Calculator, BetVictor Golden Goal competition and many others. Betvictor come out top when it comes to diversity of markets on offer and football odds, expecially on favourite teams and correct scores. An interesting and very useful tool that is available to BetVictor punters is the ability to adjust the odds display from a simple drop-down menu to suit your betting style. You can switch different odds format, including US, Fractions, Decimal, Indo and Chinese odds format. There’s over 30 different sports with thousands of matches, events and tournaments covered. Football, Horse Racing, Tote, Basketball, Boxing, Greyhounds, eSports, UFC, Cricket, Cycling, Darts, Entertainment (X Factor, Big Brother, Love Island etc. ), American Football, Futsal, Gaelic Games, Golf, Handball, Ice Hockey, Motor Racing (Formula 1, Nascar and Word Rally Championship), Motorcycling, Politics, Rugby League, Rugby Union, Snooker, Tennis, Volleyball and, of course, Politics. At BetVictor you can find some of the best odds across the world’s most popular leagues, including the Premier League. You can even watch all the live horse racing from the UK, Ireland, South Africa and the UAE at your fingertips. Betvictor are licensed by the Government of Gibraltar Licensing Authority and the UK Gambling Commission. They have recently launched #PriceItUp, a Request A Bet service to create your own market by simply tweeting them your request. Plus, you can find #PriceItUp Builder, an exclusive tool that allows you to manually build your own #PriceItUp bet from scratch by combining multiple outcomes into a single bet with the added option of an ‘Edit’ feature that allows you to make changes to existing #PriceItUp bets. If you don’t have a BetVictor account then there will never be a better time to open a BetVictor account as here at BetAndSkill.com we have this exclusive Bet £5 get £30 offer available right now! Register your free account with BetVictor and place your first bet of £5 or more and get credited with £30 in Sports free bets and Casino Bonus Funds! The bookmaker offer a plethora of promotions for new and existing customers. The following is a list of the offers they are currently running. If you place a 5+ Fold accumulator and the bet wins, Betvictor will automatically check the price you got against Ladbrokes, Coral, Bet365, Betfair, Betfred, Paddy Power, Sky Bet and William Hill. If any other the top UK bookmakers had a better price, at the same time you placed your bet, you will get paid out at the bigger odds. Acca Insurance makes your football betting experience a whole lot better. If your 5-fold or above ends up losing because only one team has let you down, we’ll refund your stake in the form of bonus funds to use on a future accumulator. Best Odds guaranteed is one of the most appreciated promotion for horse racing punters. If you take an early bird price or a board price on any UK or Irish horse race and the starting price is bigger you’ll get paid out at the bigger odds. There’s nothing more frustrating than losing your stake and not even getting to sweat the race. BetVictor offer Money Back If Your Horse Doesn’t Run! If you back a horse and it doesn’t end up running, for whatever reason, Betvictor will refund your bet in real cash. Alongside their regular markets Betvictor also run an in-play section. Customers can access great-value live betting across all major competitions and events in football, golf, tennis, cricket, rugby, basketball and American Football. Anyway, when it comes to live streaming, BetVictor is slightly behind some of its rivals. 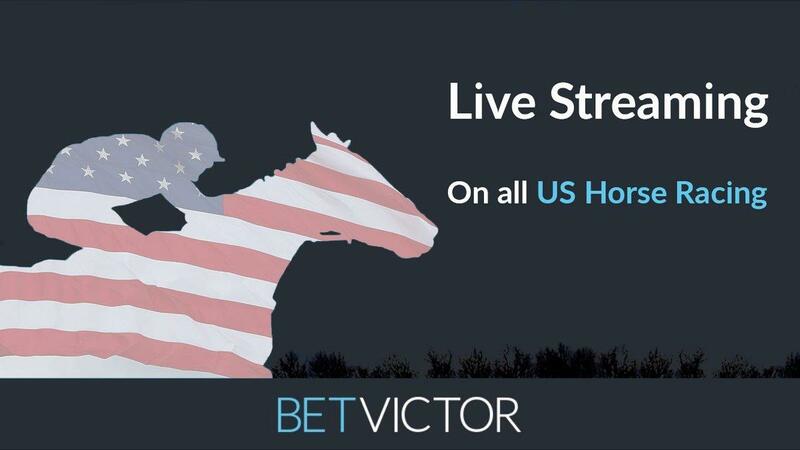 Currently it offers streaming of horse races only (including streaming on US Racing). BetVictor does their best to keep their players happy, and have earned a solid reputation for offering some of the fastest and easiest payouts in the business. The company has a dedicated sports betting app for football and horse racing available on both iOS and Android devices. We’ve all seen the adverts, but BetVictor really do back it up with a fine product. They’re fantastically customer focussed with one of the best helplines and FAQs out there. That’s matched with the odds they offer. They cover all major sports markets, including all Europe’s top football leagues, rugby, cricket and more. The fastest way to get email support at BetVictor is to simply click on the email support icon. This opens up a simple and easy-to-use email contact form. BetVictor doesn't provide Phone Support, but there is the option to request a call back, which does work quite well. Furthermore, their Live Chat support is absolutely outstanding. Their team is not only super friendly but also quite knowledgeable about the entire BetVictor brand.